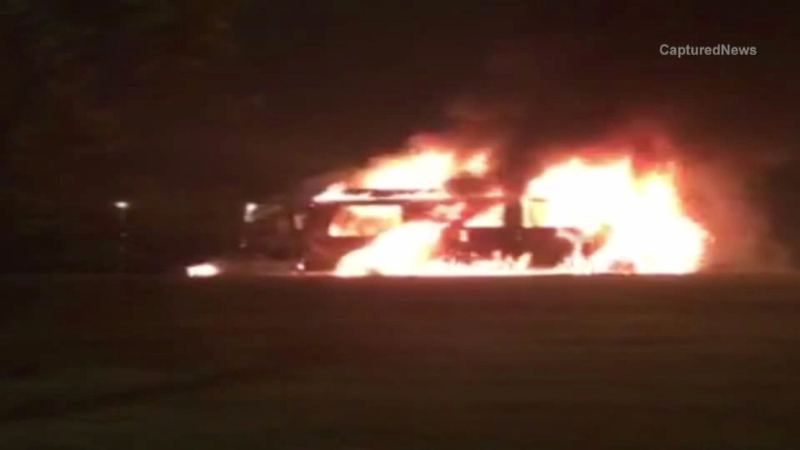 CHICAGO (WLS) -- A van caught fire on Lake Shore Drive overnight. Police say it happened around midnight in the southbound lanes near North Avenue. The vehicle was fully engulfed just before firefighters arrived. It's still unclear how the fire started or what happened to the driver. There wasn't much left of the van after the fire was put out.